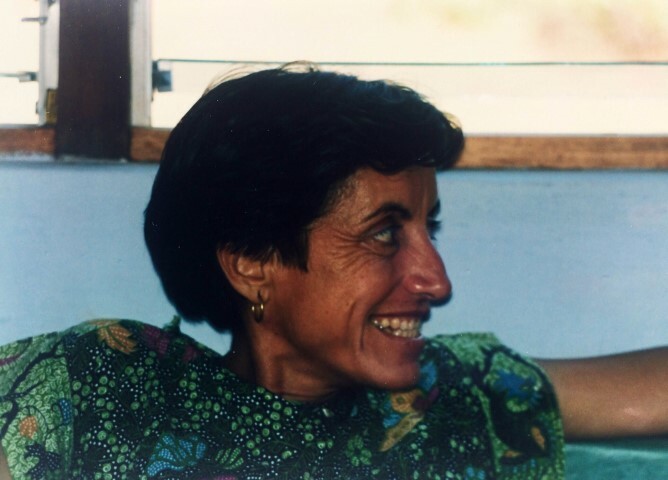 Hailing from Spain, Sharanam came for the first time to Auroville in the early eighties and joined Auroville in 1992. Her general health condition being rather weak, she lived a quiet, unobtrusive life in Dana, translating into Spanish texts of Sri Aurobindo, the Mother, Satprem and about Auroville, delivering a stream of important information into the Spanish world. She left her body on September 1, 2016 after a brief illness at the age of 69. Sharanam came to Auroville for the first time in 1975 and stayed at Utilite. She went back to Spain and collaborated with the Institute of Evolutionary Investigations in Spain, to translate the books of Satprem. She returned to Auroville in 1981 to stay. She was happy to be without any material possessions, living from a maintenance. She worked in education, and also experimented and investigated healthy eating. Always willing to help, she would offer food and a good massage to whoever would come to her place. (She was a psychologist.) Sharanam gave classes for the children of Auroville in her house and continued translating to Spanish various works from the Mother´s Agenda to Savitri, and also collaborated with the Spanish Pavillion. Ultimately she was more and more reclusive in her house. She shared with me her intention to constantly stay in the flux of the present moment. She had great faith in Auroville and was an unconditional disciple of Sri Aurobindo and the Mother. She consciously in her sadhana, took the decision of how to continue the process of her illness within the flow of yoga.